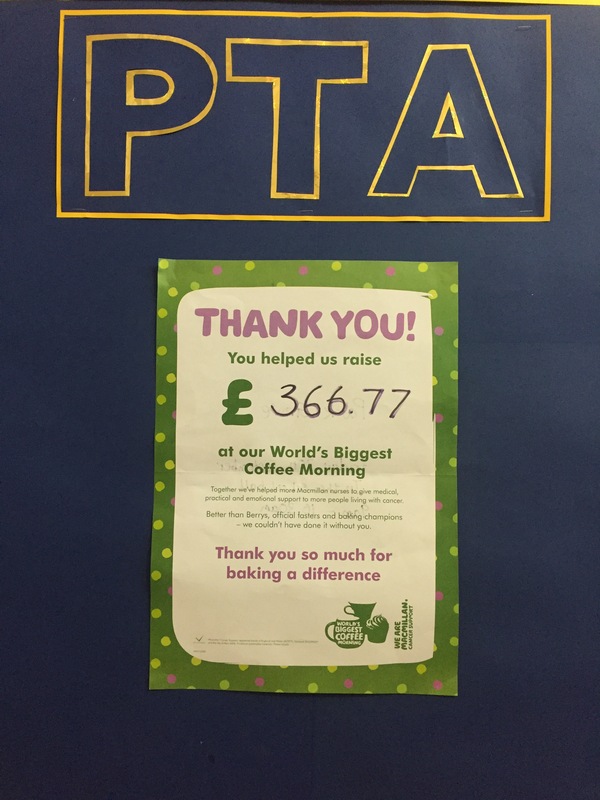 £366.67 a fantastic amount raised! Well done to Mrs Martin for organising this lovely community event. Thank you once again to all who supported it. Don’t forget to pick up any cake tins from the staff room. The next fundraiser is the Halloween cake stall.